When you’d like to update a room in your home or make repairs that will upgrade your living space, consider a professional home remodeling service. Wilson Built Homes, LLC offers kitchen and bathroom remodeling services in the Tuscola, Texas area. Our remodeling contractor has experience with home building and will create the home you’ve always wanted. Knowledge and experience are valuable when you’re tearing a room down to the studs before building it back up again. Subcontractors will handle the plumbing and electrical work while we oversee the entire process to completion. Call 325-518-3687 today to schedule home remodeling service in the Tuscola, TX or Abilene, TX area. 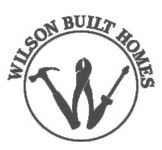 Learn more about our bathroom remodeling services in Tuscola, TX by contacting Wilson Built Homes today.